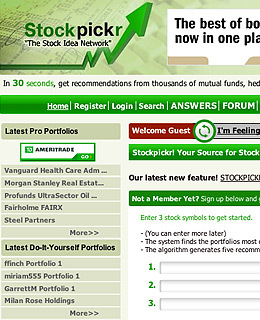 This investing advice and analysis site, created by two New York hedge fund managers, is now part of TheStreet.com. See what the pros have in their portfolios, check out the day's winners and losers, or see what star pickers like Jim Cramer think. Find more stock market analysis at SeekingAlpha, which pulls together advice from blogs, money managers and investment newsletters, and recently launched a hedge fund jobs board. You can sign up to have the site email its articles to your Blackberry or get the RSS feed. And while The Wall Street Journal Online is still available only to paying subscribers only, stock tables and other market data are provided free at its Markets Data Center, which is updated thousands of times a day.